No, it doesn't have four letters. We already know the 9 foods Queen Elizabeth II refuses to eat and the four countries she’s never visited. And we now know which word will never slip out of her mouth. Your first guess would probably be that the Queen turns up her nose at curse words, but that might not be true. She doesn’t swear publicly, but comedian Brian Blessed claims Her Majesty said the F-word when talking about one of his appearances on the TV show Have I Got News For You. Granted, she was talking about the Anglo-Saxon origins of the word that he uses so much—not cursing him out. Still, the idea of the 91-year-old monarch swearing is still amusing. But there’s another word Queen Elizabeth cannot stand—and it’s nothing you’d ever guess. 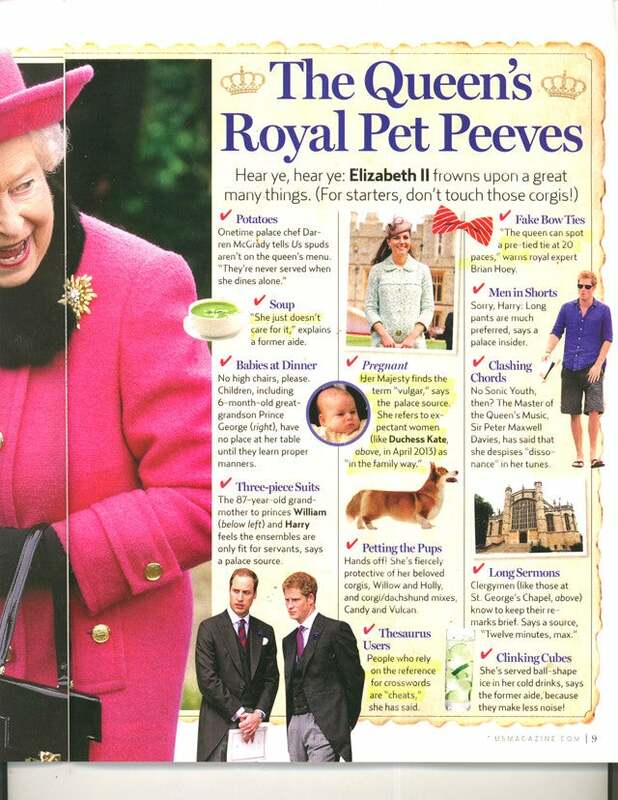 According to Us Weekly, a palace source says the Queen finds the word “pregnant” to be a “vulgar” word. Here are 8 more words you will never hear anyone in the royal family say. No, Queen Elizabeth doesn’t just refuse to acknowledge expectant women. After all, Meghan Markle is currently carrying the queen’s eighth great-grandchild. Apparently, the Queen prefers to say pregnant women are “in the family way” as a more polite term. The phrase started as a slang term in the 17th century, according to Merriam-Webster. It’s dying out now, but apparently Her Majesty still likes the sound of it. How quaint! Next, don’t miss these 50 other things you never knew about the British royal family.